Thought I would share some wheel info I have recently been given. This VXR has the £500 optional 19" Wheel, this is a 8 x 19" 5 x 110 ET37 or ET41 (Offset TBC) Although rumour has it it will be a VXR only part, time will tell if we can buy them over the counter. Apologies to Cyb for nicking his picture!!! This wheel we know is the 8 x 19" ET43 wheel avalaible on Vectra and Signum. Vauxhall have re-cast this wheel in 8 x 18" ET37 or ET41 (Offset TBC), in the 18" form, this will be the standard fitment for the Astra & Zafira VXR. There are new wheels out soon so once I get the information I will post it up. I hope you find this of interest. that VXR looks an awful lot better than i thought it would. If it werent so impractical for a family, i'd be seriously trying my best to persuade the missus we need to trade in. I reckon the Vectra VXR is going to be well worth the money. I'm going to try my darnest to get the CDTi VXR. 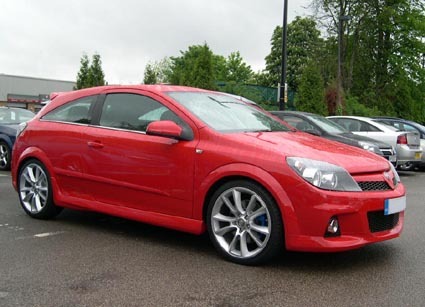 Got some more info on the VXR CDTI, may now be summer 2007. But rumour also has it this twin turbo diesel engine will find it's way into the Astra and Zafira VXR's!!! Can't wait. It will be mine, oh yes, it will be mine. 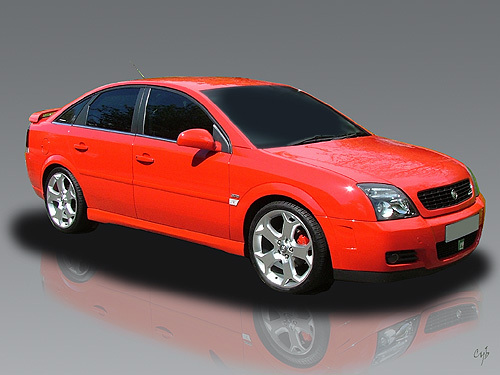 Just wondering if the vectra vxr doesn't come out until 2007 surely thats going to be near the end of the current shape vectra's life? Vec B was 95 / 2001 (yes you can buy vec B 2002 but I think they had finished making them by then). So I would have thought the vec D would be sometime late 2008 early 2009? The Petrol VXR Vectra is out late this year/early next year as you know, but apparently the CDTTi is being held up with gearbox development work. As we all know, all Vauxhalls gear box's are rated higher than the torque that the engines produce, ie Zaf GSi F23 gearbox, rated to 230lb/ft but the car produces 184 lb/ft. The CDTTi VXR is scheduled to produce in the region of 375lb/ft, so maybe a 450lb/ft rated box is needed. But your right, it will only be out for approx 18 months before the Vectra D.
preface sri wheels, facelft sri's or gsi wheels? Why the shortage of wheels for sale, is it coz evert1 is usin winter wheels!! ?